For the longest time buying stocks with PayPal was almost impossible. Due to strict regulations, it has not been easy for stockbrokers and other trading services to offer stocks via PayPal and for many investors it has been a let down. However, lately, there has been a change in the industry and today it is not only possible but actually quite easy to buy stocks with PayPal, at least if you use the right services. How to buy stocks with paypal? This is actually really simple, follow the steps below and get started in no time. We can recommend PayPal as a deposit method since its fast, simple and reliable. Below, you can find stock apps that accept paypal. Your capital will be at risk when using any of the recommended brokers on this page. Never invest money you can’t afford to lose. Using a high leverage can result in big losses. Between 65-89% of retail investors lose money when trading contracts for difference (CFD). Bullmarketz may be compensated by some of the brokers listed on our website. Would you like to buy stocks with PayPal? Then let us point you in the right direction. In fact, there is one practical solution that allows investors to buy stocks with PayPal without any hassle. 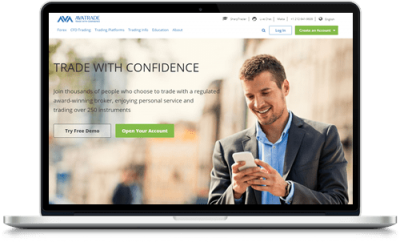 Most traditional stockbrokers do not offer PayPal as a payment option, but many of the Best Forex Brokers and CFD brokers do. And lately, many of these brokers have started offering stocks as actual securities, meaning you don’t have to limit yourself to derivatives unless you want to. UK, EU, and the US: Please note that all brokers in this article accept clients within the UK and EU. If you are from the US then you will need to sign up with IG, who accepts US clients. The answer is yes, at least if you follow our advice and use CFD brokers online instead of traditional brokers. Many of these trading platforms are offering PayPal as a deposit method. PayPal is by far one of the most practical and popular payment services online today especially when it comes to online transactions, and that is the single most important benefit for stockbrokers. In fact, most people that are active online have a PayPal account for different reasons. Maybe you have connections abroad that you want to transfer money to quickly with low fees. Or maybe you’re working online and are being paid to PayPal by international clients. Others use PayPal to buy products and services online. PayPal is also a great service for people whose banks charge a lot for transactions to international brokerage accounts. And for day traders that often transfer large amounts at once, PayPal offers higher limits than some banks. In addition, most brokers have support for Visa and Mastercard, while some include Maestro and Diners. So if you’re using another card than that, you might be forced to use time-consuming and expensive payment options such as bank transfers and cheques. One of the often overlooked benefits of stock trading with PayPal is that PayPal only collaborates with the best and most reliable services in the world. In other words, if the broker offers PayPal, you know you can trust the broker. The final benefit of buying stocks with PayPal has to do with the practical nature of online payments, especially to online brokers. And even though most brokers support smaller payment services such as Skrill and Neteller, most investors prefer to use a reliable service such as PayPal. Are you a resident in the UK? Even better, most of the brokers offering PayPal as a deposit method are based in the UK and more importantly FCA regulated. An FCA regulated broker can always be trusted and a license from them to operate in the UK is often considered the best sign of a quality product in the industry. If you already have a PayPal account you can continue to the next section of this page where we will discuss how to get started as well as some of the brokers supporting PayPal. However, if you want to open a PayPal account to start trading stocks, we can help you. Luckily, opening a PayPal account is easy, and it won’t take you long. Start by visiting PayPal.com and click on the “Sign Up” button. Note that PayPal will automatically redirect you to a local version of PayPal, and since they support most languages, you’ll be able to go through the registration process in the language you prefer. After you’ve pushed the Sign Up button you will be asked to provide personal information such as your name, email address (which will serve as your username), and phone number. After that, your account will be activated and you can start receiving money. However, to be able to withdraw funds and transfer money to a broker you will have to verify your identity and payment option/bank account first. The verification process is easy, and all you have to do is follow the instructions provided by PayPal. Now, the process does differ a bit from region to region so instead of guiding you, we will refer you to the PayPal customer service. As soon as you’ve verified your account, you will be able to buy stocks with PayPal. Wondering how to buy stocks with PayPal? Paypay happens to be one of the fastest deposit methods with most trading platforms. If your PayPal account is set up and ready, you can start buying stocks with PayPal. In order to do so, you will first have to find a broker that supports PayPal. We have listed the best PayPal brokers below, and you can choose any of them. You then have to open an account with the broker you prefer. We describe that process in detail in each of our broker reviews (open them by clicking the links below). With a stock brokerage account set up all you have to do is transfer money from your PayPal account to your broker account and then start buying stocks. As mentioned, the brokers that support PayPal are typically CFD brokers, but that is not a bad thing at all, rather the opposite. CFD and forex trading is done online and in many ways, it’s more straightforward than stock trading. Since the trading is done completely online, most of the brokers offer the option of funding your account with online payment services such as PayPal. 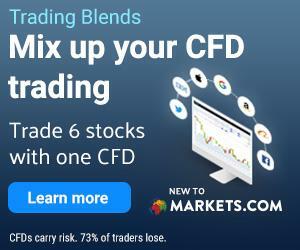 Also, several CFD brokers have started offering regular stock trading lately, so you will be spoiled for choice in terms of investment opportunities. Also, a CFD broker will give you access to more than just stocks. In fact, many of them let you trade cryptocurrencies, forex, commodities, ETFs, funds, and more. Is It Safe to Buy Stocks with PayPal? Yes, it is absolutely safe to buy stocks with PayPal, and there are two reasons for this. Firstly, all the brokers listed on this page are regulated and licensed, meaning they are safe to use. The licenses they have acquired force them to follow strict guidelines and regulations, and they are all subject to random and regular audits. In other words, brokers offering stocks with PayPal are safe. Secondly, PayPal is a very legitimate company that would only ever work with trustworthy and respectable companies. This is the reason why most brokers out there aren’t allowed to offer PayPal as a payment option when buying stocks. In fact, it would be devastating for a business like PayPal to be associated with a scam company or an unsafe business. In addition to this, we work tirelessly to only recommend legitimate and safe services that you can use without having to worry. Note that while it is safe to buy stocks with PayPal, you still always run the risk of losing your invested money so be careful. Only invest based on detailed analytic work. Today, most forex and CFD brokers have support for Skrill and Neteller which are two smaller payment provides that compete with PayPal. The reason for this is that Skrill and Neteller are less serious and well-established than PayPal, and they don’t mind collaborating with smaller brokers. PayPal, on the other hand, is a more serious payment provider and they only work with the best brokers. Because of this, PayPal can, in certain cases, be an indication of how good a broker is. If the broker offers PayPal, then you can rest assured that they are safe to use. So, which brokers let you invest in stocks using PayPal? Let’s take a closer look at the selection, and don’t forget that all the CFD and forex brokers we recommend are regulated and safe. Click the links to learn more about the respective broker. Below is a list of investing apps and trading platforms that use PayPal. 1. Markets.com – Excellent, Safe and Fast Paypal Deposits. 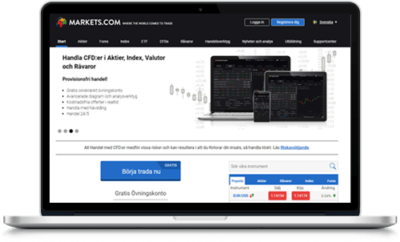 Markets.com is our long-running favorite broker for all your forex and CFD trading needs. This broker is an excellent option for pretty much any trader, and there are two things that make them especially great. First and foremost, Markets.com offers over 2,000 assets and secondly, Markets.com lets you invest in stocks using PayPal. Markets.com lets you invest with paypal. 2. IG Markets – Another great option for UK & US Traders. One of the best brokers to buy stocks with PayPal is IG Markets, and they also happen to be one of the most experienced brokers in the industry. Established over 40 years ago, it should come as no surprise that IG Market is both popular and extremely safe to use. Lately, the broker has also started offering PayPal as a payment method to accommodate their growing collection of customers. As icing on the cake, IG Markets provides support for stocks as CFDs, stocks as spread betting, and lately also stocks from the exchange, and that is why we consider IG Markets to be the best PayPal stockbroker. Also offers a great forex app and spread betting. 3. eToro – Definitely one of our favorite PayPal brokers. eToro is not only one of the top five best CFD brokers in the world but also one of the few to offer stock trading with PayPal. 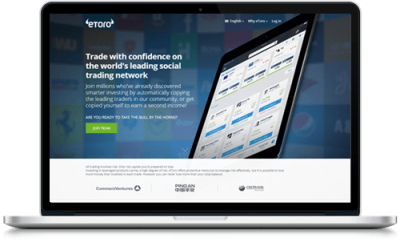 In addition, the team behind eToro has developed the leading social trading platform for copy trading which makes it more interesting to buy stock and other popular instruments. eToro is also a great crypto broker. 4. Plus500 – Offers PayPal and smooth deposits. 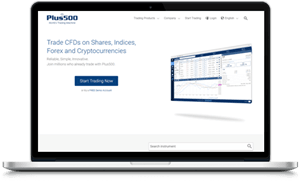 When it comes to trading stocks as CFDs and funding your account with PayPal, few brokers can compete with Plus500. Their proprietary platform has won multiple awards, the customer service is incredible, and their selection of assets provides all you need to trade on the best markets in the world. If you, for some reason, don’t think IG Markets is a good fit for you, then please go with Plus500 instead, you won’t regret it. 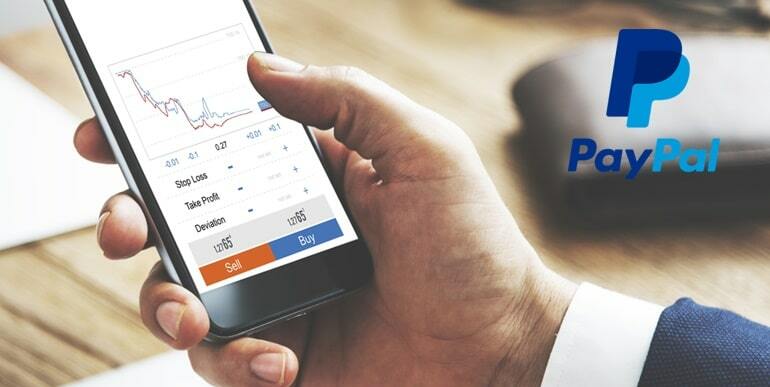 Plus500 lets you invest in stocks and buy shares with PayPal. 5. AvaTrade – One of the biggest brokers in the UK. For the longest time, AvaTrade has been one of our favorite brokers. Today, you can use AvaTrade to invest in stocks, indices, and cryptocurrencies using PayPal. And don’t forget to check out their wide range of platforms designed to cater to traders with different needs and skill sets. 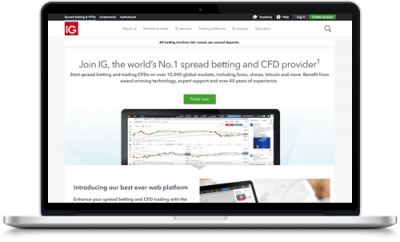 Also, AvaTrade allows you to buy stocks as CFDs and has support for spread betting. Paypal (PYPL) is an online payment system that supports online money transfers. It serves as the backbone of most of the world’s e-commerce trades and financial transactions in place of money orders and paper checks. Its partnerships with other global financial players have enabled it to reach new markets and provide new products and services. Founded in 1999, Paypal is headquartered in San Jose, California. Invest in Paypal – Paypal share price has been strong the last few years which is good news for those who invest in Paypal. As global e-commerce grows so will valuation of Paypal stock. Investors can buy Paypal stock or invest through CFDs (contracts for difference). Most of the brokers listed in this article are not limited to stocks only, you can also buy cryptocurrencies, Forex pairs, Commodities and more. There are many other ways that one can buy stocks as well and we can help you find the solutions that suit you the best. For example, we have curated a list of the best online stock brokers for everyone that prefers trading stocks as CFDs and other derivatives. This list contains the best stockbrokers as well as our reasons why we consider them to be the best. Then there are some people that prefer trading stocks on mobile devices, and for them, we can recommend best stock trading apps as well as the brokers that offer them. In fact, mobile trading has become so prominent in the trading world that we suggest you try to at least give mobile stock trading a go if you haven’t already. Furthermore, if you happen to live in the UK, we have a special list of the best stock trading apps UK, which all have features that make them especially good for UK traders. Note that while some of the brokers listed in the two posts above support PayPal not all of them do so if you’re really keen on trading stocks with PayPal you’ll have to double check which payment methods they offer. Otherwise, you would do best to stick with the brokers and services mentioned earlier on this page. Can you buy stocks with PayPal? Yes, definitely, and it’s also one of the fastest and most reliable deposit and withdrawal methods. If you already have your PayPal account set up, you will be up and running in no time.